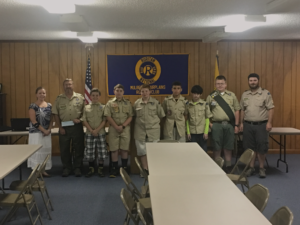 The Scouts of Pack 343 came to our club meeting tonight and were presented with a check for $600. This was from our recent joint BBQ Chicken Fundraiser. The boys will be using the money to help pay for their upcoming trip to summer camp.